Within Teamwork Projects, you can use triggers in board view to automatically add subtasks to a task. 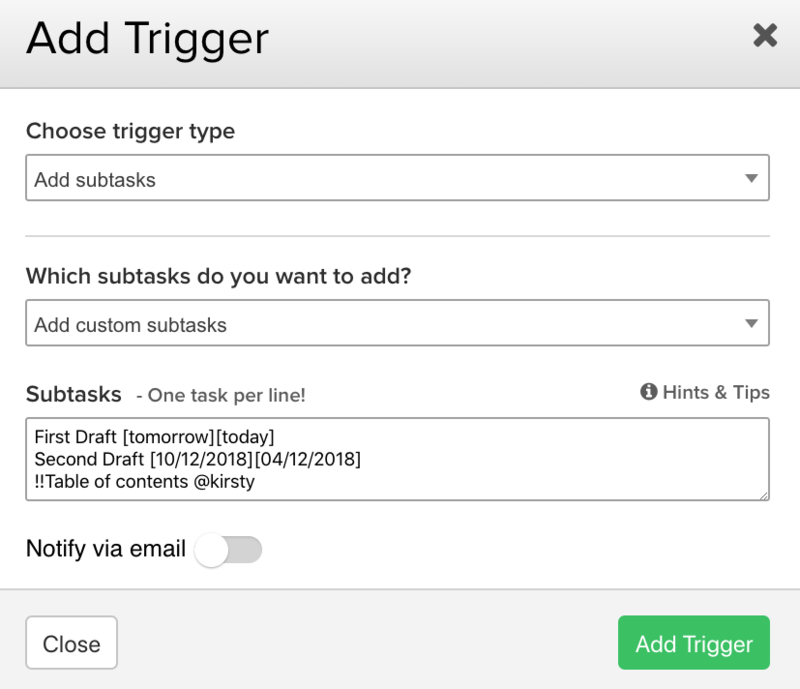 You can define a standard list of subtasks in the trigger, or use an existing task template. 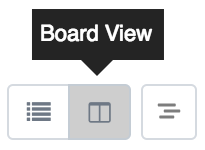 In the Tasks area of your project, switch to board view using the options in the top right. To add a trigger, hover over the column name to reveal the options dropdown. The column settings will open in a quick view on the right hand side. Select the Add Trigger button near the top. 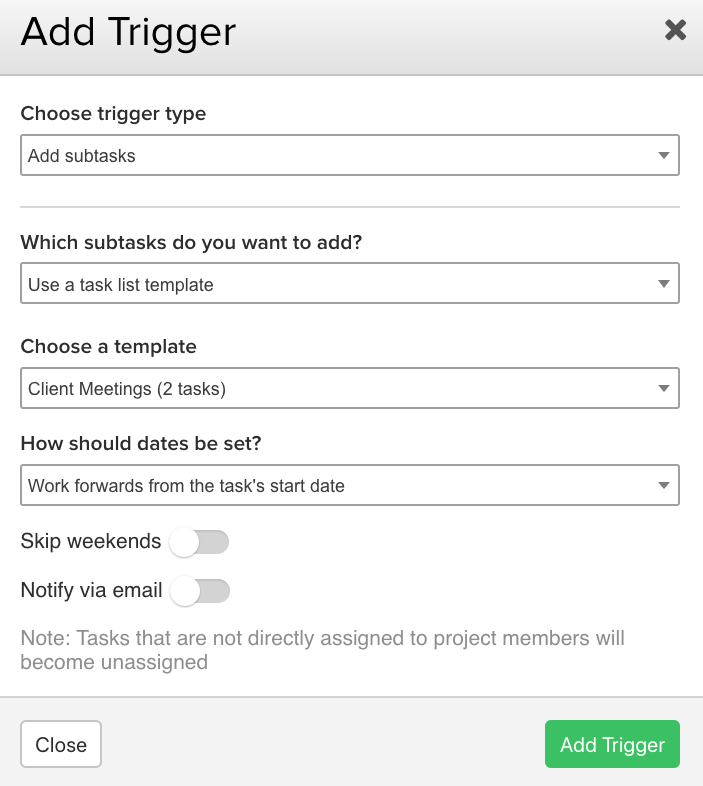 In the add trigger modal, select the Add Subtasks option as the trigger type. You can then select which subtasks you want to add: custom or from a template. When you select the custom subtasks option, use the Subtasks field to specify one or multiple subtasks. At the bottom of the modal, you can choose whether to notify users via email. Click Add Trigger to save the new trigger for the column. When you select the task list template option, you can select one of your existing templates to apply. If enabled, the skip weekends option will prevent the subtask dates from landing on weekends, and will instead be set to the closest weekday.